I thought I'd share this cute little display cabinet with you all. 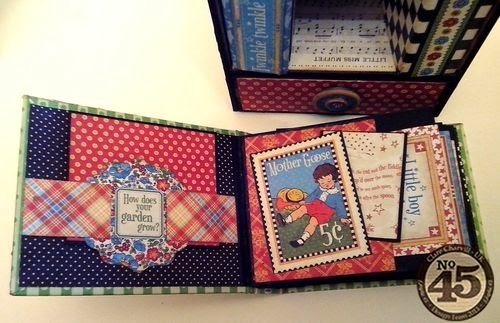 Made back in Novermber as a DT project it was showcased yesterday over on the G45 blog along with a gorgeous mini tag album by Annette. The cabinet came flat packed and included the outers for the three little albums already cut to size. 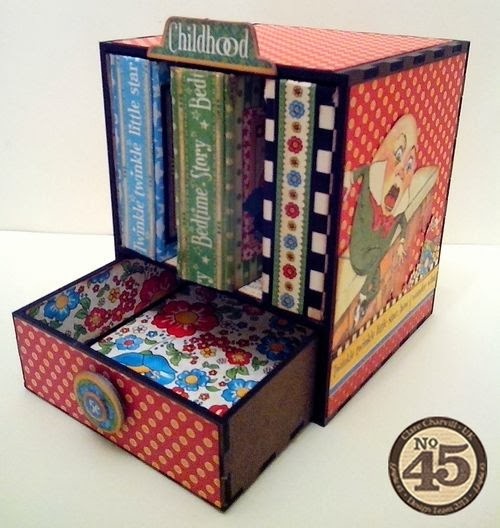 A perfect project for 8 x 8 papers and off cuts you may have left from other projects too. It really is teeny weeny. 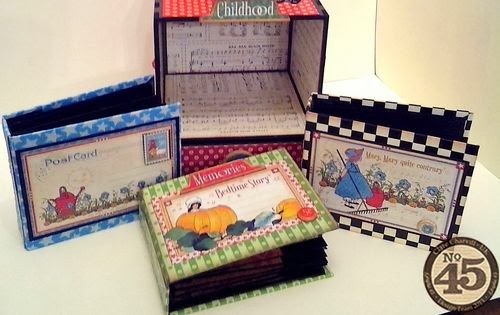 I used black card to make up the albums and then combined papers, tags and banners from the Mother Goose collection to decorate the case and the middle album. The other two albums have blank pages like little mini scrap books." 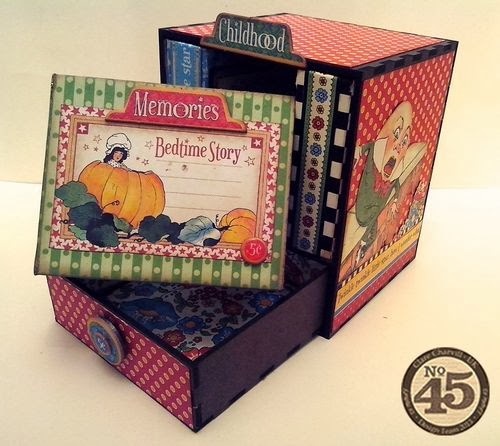 Morning Clare, I have just this minute seen this project over on G45 Blog, this cabinet is stunning, I'm so loving the Mother Goose collection, it is so nostalgic, and take me back to my childhood, and that is a long, long, way back haha !! 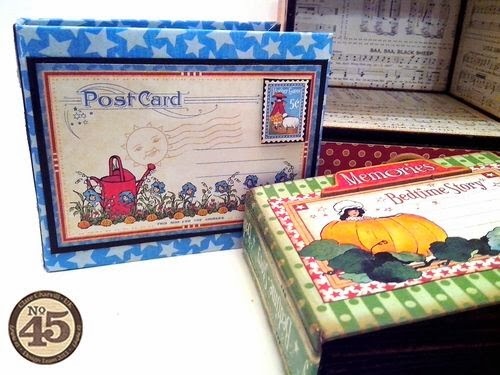 I thought these were beautiful on the G45 blog Clare - when are you going to do a class??!!! Beautiful Clare! Wow at the detail! This is just fabulous, love those papers. WOW Clare this is amazing! Love the gorgeous papers and a fabulous idea too. Stunning project. So much fabulous detail. Amazing Claire. Thank you for sharing with crafty bloggers network. Fabulous project, Claire. So sweet. Clare, where can I purchase the cabinet for alteration? Beautiful work! I too would love to know where the cabinet is from or what company made it. Can you let me know?? Gorgeous project! This is too cute would love a tutorial on making the cute little mini albums. I have a new granddaughter (my first) and would love to make these cute minis for her pics. Would love to see this as a tutorial. You do such great work! These albums are over the top awesome!! I'm hoping for a workshop as well. To luvpaper154, it is very easy to buy Clare's workshops. I live in Canada and I have purchased one. You will receive an email with a PDF file and links to Youtube videos. It's almost like having Clare right there with you!! You totally inspired me to make my own!!!! !